Our Lil' Football Fans Personalized Sweatshirts are available on our premium white cotton/poly blend Customizable Sweatshirts, machine washable in adult sizes S-3XL. Also available in Ash Gray. Includes FREE Personalization! 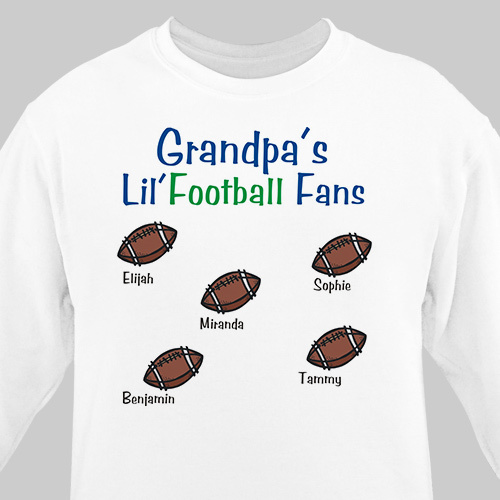 Personalize your Lil' Football Fans Sweatshirt with Any Title and Up To 30 Names.